The Valentine Invite is back this year after weather cancelled last year’s tournament. It won’t disappoint either, as there are four top ten teams in class C and South Dakota small school #2 Winner participating along with several other talented class B and C schools. David City has moved into the #2 team ranking in Class C based on strong performances from some of their younger wrestlers and should be a challenge to Valentine in Omaha. Broken Bow has also been climbing the ladder early in the season. They are one of the toughest top to bottom teams in class C and should have the depth to compete with both Valentine and David City this weekend. Winner, SD has eight wrestlers ranked in the top 9 so they will be in the mix for the team championship as well. C#8 Ord and Class B Alliance also have tough lineups as it appears Alliance is just outside the top ten in class B. Several other schools bring multiple quality wrestlers to the table to make this one of toughest in season B/C tournaments of the year. There are at least three ranked competitors at every weight from 106-138 and a grand total of 40 ranked wrestlers scheduled to compete. 106: SD#1 Kaden Keiser has scored bonus points in all of his matches this season en route to an undefeated record. He is just an 8th grader and has a great youth resume in addition to finishing 6th last year in SD state tournament (7th and 8th graders can compete at high school level). He’ll be challenged by Alliance’s Paul Ruff and Valentine’s Chris Williams along with Quinton Chavez from Gering who has only one loss this season to class B 5th ranked Obermiller. Broken Bow’s Trey Garey is off to a solid start this season as well. 113: David City’s Styskal will enter as the top seed, but the competition will be fierce here. Freshman Casey Faulkenberry has been dominating this season, his closest match being a 13-1 win over B#3 Quandt. For comparison’s sake Styskal beat Quandt 9-5 one week prior. Faulkenberry has also beaten Rowse and Felber head to head. Several others at this weight of quality caliber including Winner’s representative, either #6 Riley Orel or Jack Kruger. 120: Returning South Dakota medalist Atlas Willuweit and Broken Bow medalist Spencer Gaffney lead a tough field. Gaffney has split with Petska from Ord this year. Zack Barlean was JV behind Styskal at 113 last year, but is already showing the same toughness that allowed him to beat several quality varsity wrestlers last season. Returning class B qualifier Russman of Cozad has a 4-2 over fellow qualifier Richards of McCook. Gaffney also has head to head over Richards by major decision. Evan Steggs from Alliance made the heartbreak round in Omaha last year at 113. Steggs and Russman were both at the Cozad Invite, but didn’t meet up as they both lost to the same opponent. There will be some great quarterfinal matches at this weight. 126: One of the most intriguing weights of the whole tournament. 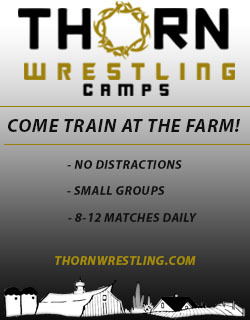 It features the top three wrestlers in class C provided they are all in the lineup. These three (Krolikowski, Styskal and Powers) were all at different weights last year so it remains to be seen how they all stack up. Winner’s Wyatt Turnquist is a returning medalist from 113. Krolikowski didn’t wrestle Turnquist in their dual but my guess is that since Styskal and Turnquist are returning medalists that Powers will get the 4th seed here. Once again, another weight with an insane amount of depth with returning qualifiers Boyce and Child from class C. Gering’s Nate Rocheleau who started the year at 132 but is now down at 126 is 10-2 on the year and will be competitive here as well. 132: Three ranked wrestlers here headlined by 2x state champ Jordan Kelber. Hotz finished 5th at 120 last year in class B. Jacson Valentine is emerging as a medal contender in class C while Miguel Alvarado won the Broken Bow Invite and lost by 1 point in the Wood River finals to a ranked wrestler. Returning SQ Chase DeVries from SCNU#5 started the season at 126, but was at 132 last week and appears to be set there for the Valentine Invite as well. 138: Justin White looks to be the top seed at 138 based on being a state medalist last season. Trevor Peters finished 7th in SD. 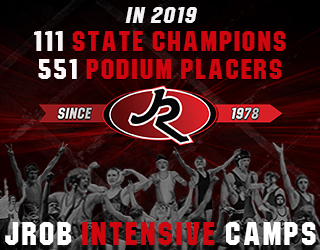 JJ Ramon had two narrow losses in Omaha last year and has just one loss this season to a returning state medalist. Cooper Brass from Broken Bow is off to a solid start on the season as is Julian Corona out of Gering. Blake Henry from Gordon-Rushville is a returning class C qualifier. 145: Melvin Hernandez from David City has yet to wrestle this season. Dylan Vodicka has been their entrant thusfar and he is enjoying a great start to his freshman season. Top ranked SD class B Sam Kruger from Winner finished 3rd at 132 last year. Alliance’s Jorgen Johnson was 5th at 138 last year and defeated Hernandez over the offseason. Should be an exciting finals match if Johnson and Kruger can navigate a tough field. Chase County’s Caleb Weiss is down to 145 lbs after beginning the year at 160. He was a qualifier at 145 last year. Valentine’s Chase Olson is out to a 9-0 start on the season all the way up from 106 last year. Cole Ulmer, Noah Larson, Garret Kluthe, Jacob Lemmon and Hayden Hoos add even more depth to one of the toughest overall weights of the tournament. Should be some great quarterfinal matches at this weight. 152: Brody Benson from Valentine will probably be the top seed at this weight with an undefeated record and returning state medalist status. Joel Myers from Broken Bow has beat both Peterson from Chase County and Shoemaker from Ord head to head by comfortable margins. Peterson also tech falled Shoemaker earlier this year. Steinbach from SCNU#5 has been at 160 but appears to be going 152 for Valentine. 160: State champion Caleb Long already owns a head to head win over Shaw from O’Neill. He’s the likely top seed here. Returning qualifiers Lane Applegarth of Alliance and Ryan Haskell from Madison are entered at this weight as well. Haskell has a 1-point win over Broken Bow freshman Lathan Duda. SCNU#5’s Ryan Haack’s two losses are to state medal caliber wrestlers. 170: Only one ranked wrestler here with freshman Shippy of Winner, SD. This weight will be an opportunity from a team perspective with no absolute favorites at this weight. Tons of quality wrestlers are here though as Riesen from Chadron is off to a solid start this year and has head to head wins over Harris from Gordon-Rushville, Savick of Cozad and McGinley of Valentine. Oltmer from Madison has common opponent over Ulrich from Ord. Savick has a 1-point win over Bauer from Alliance. 182: Returning state champ DJ Stephen should be the top seed. He did suffer a defeat to D#1 Beau Wood. Jacob Lech from Ord lost to Wood 4-3 at the Broken Bow Invite. Lech also has a few close wins over Dodge from Broken Bow. Langan from McCook beat Platter of Gothenburg at the Cozad Invite and also has a win over Dodge head to head in Holdrege last week. Evan Fisher of Chase County, despite having a 2-3 record, will be a tough opponent here as his losses are to quality wrestlers. 195: Ord’s top ranked Ethan Gabriel headlines a fantastic weight featuring four ranked wrestlers. 2nd ranked Noah Gugelman began the year at 220 so he didn’t meet up with Gering’s Ybarra at the Cozad Invite in week 1. It’s likely that Gugelman and Ybarra will square off in the semis. Ybarra is off to a hot start with his only loss coming to B#1 Kolterman at the Cozad Invite. Caine Haarberg from Chase County has a win over a returning class C medalist and Rademacher from SCNU#5 is off to a 12-1 start on the season. David City has had two representatives at 195 to start the year and it appears likely that Moore will be in the lineup after a 3rd place finish at the Stanton Invite. 220: Top ranked Kaleb Taylor is off to a fantastic start this year. He has wins over the 2nd and 5th ranked wrestlers in class B already as well as Gugelman who is 2nd in B195 and Brooks from Broken Bow who is 3rd in C. David City’s Matthew Eilers defeated Brooks in Omaha last year. Freshman Kolby Johnson from Madison is off to a strong 7-3 start on the season. Eilers has common opponent over him though they have not met up yet. 285: State runner-up Hinojosa is undefeated on the young season up a weight this year at 285. It remains to be seen if he’ll stay there all year, but he already has a win by fall over Drake from Broken Bow. Returning qualifier Rempe from SCNU#5 is capable of winning a state medal and already has notched a 14-0 record on the year. Alliance’s Nathan Lauder has wins over both Pat Hudson of Gothenburg and Stallbaumer from Cozad. Hudson beat Stallbaumer head to head. December 14, 2017 in High School.